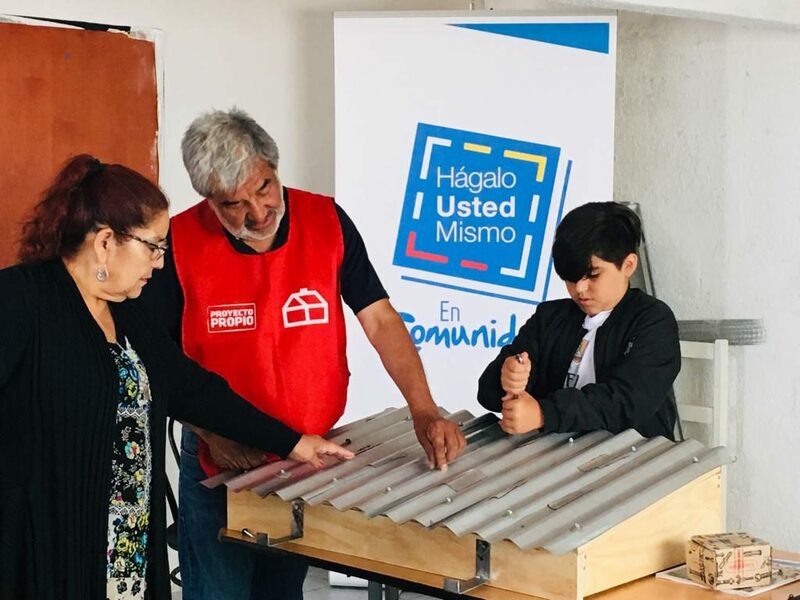 Fundación Proyecto Propio, the founder of the program “Juntas de Vecinos” (Neighbors’ Ccommittees), has 14 years of experience working with communities, neighborhoods and local authorities from Arica to Punta Arenas. The foundation’s objective is developing projects from the ideas that come from the communities, because it is believed that the greatest impact a community can have is the one that is generated from the residents, which are recognized as experts of his own territory. Our objective is to create workplaces with the community to turn contexts of poverty into potential focuses of development. To do it, we have two lines of work: project design and implementation of the projects. The design work is developed through a deliberative methodology that allows the inhabitants of a territory build decisions by consensus with a rational and argumentative discussion that helps them prioritizing their interests and analyzing the viability of the projects. 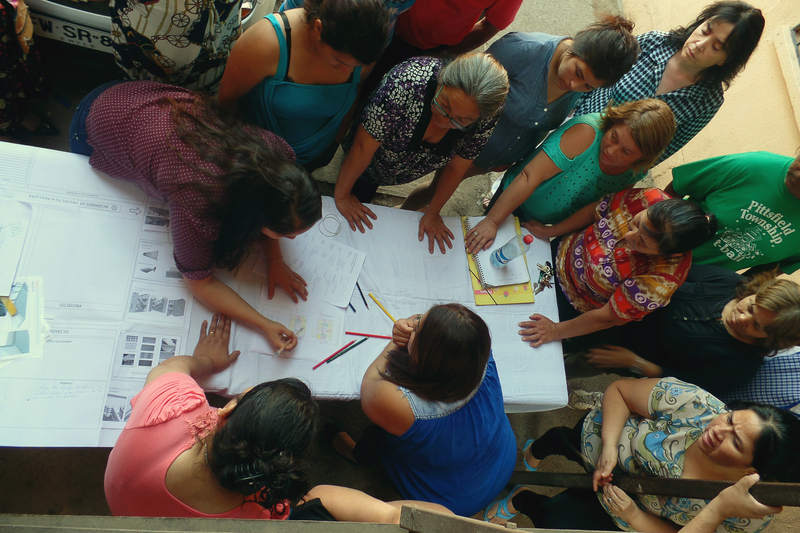 Proyecto Propio works at a territorial level and with multi-sectorial agendas that include private enterprises, public organisms and neighbors committees to establish concrete actions to boost the territorial development and help rising equality levels within the community. 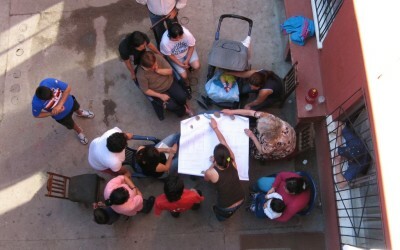 During these 14 years of experience, we have worked with more than 300 communities and his social leaders, local authorities, public organisms as the Ministerio de Vivienda y Urbanismo or the Ministerio de Desarrollo Social and several private enterprises like Sodimac, McCann Erickson, Codelco, Entel, Melon o Masisa. Besides this, we create alliances and work in consortium with organizations from the civil society, as Fundacion Avina, Fundacion Para la Superacion de la Pobreza or FUNDES, among others. Our definition of poverty is based on the simple idea that nobody is poor, but that the context where people live is. This definition is very important for our work because it does not individualize the poor person as if the change should be implemented on him, instead it focuses on the ecosystem where he resides. Understanding poverty from this point of view allows us to involve public organizations and private enterprises, but not considering them as charitable entities but as responsible actors of the context where they act. The work of Proyecto Propio is based on a symmetric relationship between the actors, and one of them is the capacity of the neighbors to create projects for the place where they live.